Utilizing top-quality carbide inserts within you manufacturing operation can significantly improve your productivity and, in turn, enhance your profitability. At CRC Inc. of Texas, we offer a wide selection of high-performance inserts from industry leader Kennametal to businesses throughout Dallas, Fort Worth, and surrounding cities in TX. 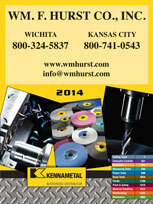 Kennametal is among the world’s leading manufacturers of carbide cutting tools. Utilizing Kennametal carbide inserts will give you outstanding versatility and reliability for cutting processes in your manufacturing operation, which can lead to enhanced productivity. Whether you require carbide inserts for low- or high-speed applications, we’re confident you can find exactly what you need for your business among our comprehensive inventory of ISO-style and ANSI-style Kennametal carbide inserts. You can also rely on the knowledgeable representatives at CRC Inc. of Texas to make product recommendations that will help improve cutting processes in your operation and save your business money. For more information on our selection of carbide inserts, contact our industrial supply company today. 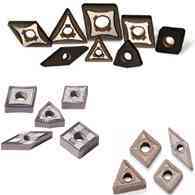 We also offer a comprehensive selection of other carbide cutting tools from notable manufacturers such as RobbJack, M.A. Ford, Greenfield Industries, and Minicut International. CRC Inc. of Texas is a Hurst Family Company that proudly serves businesses in Dallas, Fort Worth, and other surrounding communities in TX.